Postmodern Realities Episode 039 - "The Gospel According to Marvel"
Over the past decade, there has been a revival of interest in comic book superheroes, driven in large part by the Disney owned Marvel Comics brand, publishers of such characters as Spider Man, the X Men, the Avengers, and more. Every culture has had its own heroes, from Hercules to King Arthur to the Lone Ranger, but the phenomenal popularity of Marvel superheroes in recent years suggests that Marvels unique approach to envisioning heroism is, for better or worse, feeding some sort of spiritual ... See More hunger in American culture. In the 1960s, Marvel transformed the entire comic book industry by introducing heroes who were ordinary people that found themselves with unique abilities and struggled to overcome personal weaknesses to use those abilities for the benefit of those in need. Marvels attempt to ground their heroes in a more realistic world than other superheroes led to at least two questionable results. First, the Marvel universe tends to avoid genuinely supernatural phenomena, instead explaining unusual events in science fiction terms. Second, as popular culture has coarsened in the decades since the 1960s, Marvels flawed heroes have had to become more violent to maintain their apparent psychological realism. This means that comic books are now less appropriate for children than they were in the past. On the other hand, the positive result of Marvels emphasis on ordinary, realistic people is that readers can identify with their flawed characters more easily than they could identify with the idealized heroes of yesteryear. This means that Marvel fans can imagine themselves as potential superheroes and learn to cultivate heroism in their own lives. 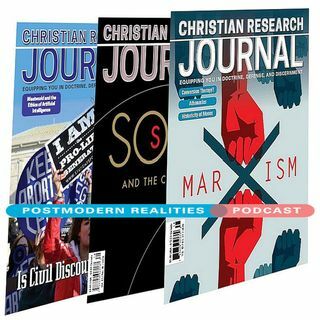 Moreover, comic book stories give us a clear sense of good and evil and the human need for a Savior who is more than human, themes that Christian apologists can use to draw out the innate existential longing for Christ hidden in the heart of all people This podcast episode is a conversation with author John McAteer as he answers questions including Why is Marvel in particular doing so well at this moment? Marvel characters are less perfect compared to DC, but isnt the point of a superhero to be a role model? Shouldnt we want our heroes to be perfect? Does Marvel can go too far in making their heroes flawed? Are flawed and anti heroes really role models for kids? How can apologists and other ministers make use of comics in talking with people about faith?